Eurostar trains to and from London St Pancras International were cancelled on Saturday due to a trespasser who was reportedly draped in a St George's flag. Services have now resumed but long queues were seen at the station. British Transport Police said in a Tweet a 44-year-old man had been arrested, was found in a "precarious position", and "spent the night on the rood of St Pancras Railway Station". 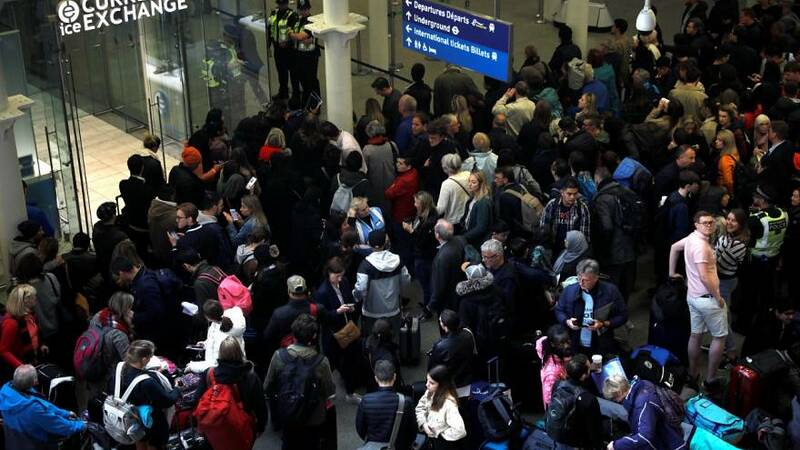 Eurostar recommended passengers not travel on Saturday morning and urged them to cancel journeys of exchange tickets free of charge. It later tweeted services have resumed but may be disrupted.